China’s Chang’e-4 lunar exploration mission was the first one to land on the far side of the moon – the side that’s not visible from earth – on January 3. A rare opportunity for India and China to cooperate in a high-profile space mission fell through after the two countries disagreed on the nature of the Indian payload to be carried on the Chang’e-4 lunar mission, it has emerged. China’s Chang’e-4 lunar exploration mission was the first one to land on the far side of the moon – the side that’s not visible from earth – on January 3. Since landing, the mission has sent back stunning first-time images from the moon’s surface. It has been carrying out a series of scientific research tasks involving multiple countries and organisations. China’s lunar exploration chief Wu Weiren called the mission a “huge stride” for China. It could have been a breakthrough stride for Sino-India cooperation in space – both countries have successful space programs – as well had Chang’e-4 carried the Indian payload. 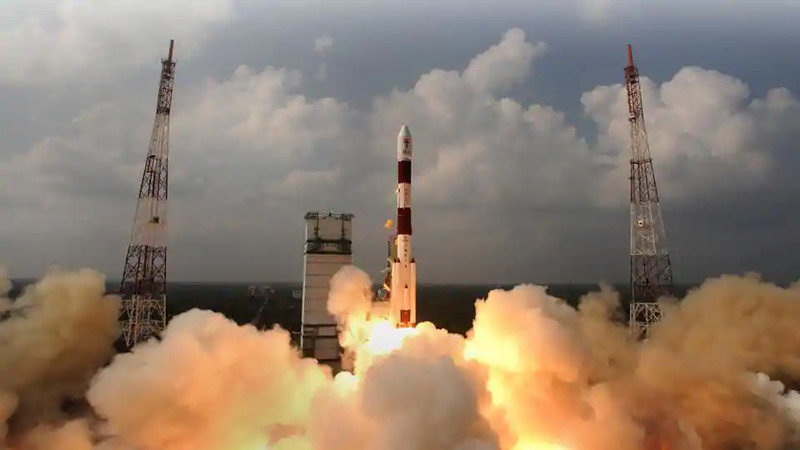 The top space agencies – the China National Space Administration (CNSA) and Indian Space Research Organisation (ISRO) – confirmed the information but did not share details why the cooperation failed to take off. “In April 2015, Xu Dazhe, the incumbent administrator of CNSA wrote a letter to the heads of the world’s major space agencies, invited them to participate in the piggy-back cooperation of Chang’ e-4 mission, which received positive responses from more than a dozen national space agencies,” the Chinese agency told HT over email. “China also received applications from India for the piggy-back cooperation. However, due to the different nature of the missions of the two sides, the Indian payload on Chang’ e-4 could not be carried through (after) the evaluation,” the agency said. The payload in this context could have been a satellite or space probe equipment. “No, we will not be able to comment on that … Yes, we will not comment on that,” an ISRO spokesperson said. Several countries including Germany, Sweden, the Netherlands, and Russia have cooperated in the ongoing mission. India and China formally established the Sino-Indian Joint Committee on Space Cooperation in 2015. In the same year, the first meeting of the joint committee was held in Beijing, and the outline of Sino-Indian space cooperation was signed. “The outline includes 19 projects in seven areas: Remote sensing satellites, space-based meteorology, space science and lunar and deep space exploration, education and training, piggy-back launch services, satellite navigation, and space components,” CNSA said. “The MoUs signed have provided a platform (for the two countries) to work but there is nothing as of now; all at dialogue stage. There are international forums where they are there and we are there but nothing (bilateral),” ISRO’s spokesperson said. Last year, the then Indian ambassador to China Gautam Bambawale visited CNSA twice in half a year and exchanged views with Zhang Kejian, the CNSA head, on promoting Sino-Indian space cooperation. “The two sides reviewed the course of Sino-Indian space cooperation in recent years, agreed to further promote the process of Sino-Indian space cooperation with an active and open attitude of cooperation, and agreed to convene the second meeting of the Sino-Indian Space Joint Committee in 2019,” CNSA said. The Chinese space agency said it is open to cooperating with India. “CNSA is open to international cooperation in lunar and deep space exploration… and international cooperation for a series of deep space exploration activities, such as Chang’ e 6 sampling return, the Mars exploration, and asteroid exploration, Jupiter galaxy, and planetary crossing exploration,” it said.